Claire Temple (Rosario Dawson) made her first appearance in Daredevil season one as the woman who pulled Matt Murdock (Charlie Cox) out of a dumpster and saved his life using makeshift stitches. From there she had a brief stint as his first season love interest before moving on to Jessica Jones, where she helped patch up the feminist icon and angsty private detective (played by Kristen Ritter) before saving undiscovered hero Luke Cage (Mike Colter) from a gunshot wound to the head. Now in the first installment of Luke Cage’s own series, Claire has left the world of the ER and Hell’s Kitchen behind to take up a place next to Harlem’s hero. In this cultural mecca of black identity, Claire helps Cage find answers, encourages him to accept his powers and even learns to accept her own constant run ins with this unlikely set of heroes. Despite memorable performances in Daredevil and Jessica Jones, Marvel’s Luke Cage provided Temple fans with what are perhaps the character’s most dramatically compelling and stellar moments. Claire grows character wise like never before, proving that our favorite nurse’s knack for saving heroes on couches is more than an accident. She’s fully embedded in this world of heroes, and she may be one of its most important members yet. 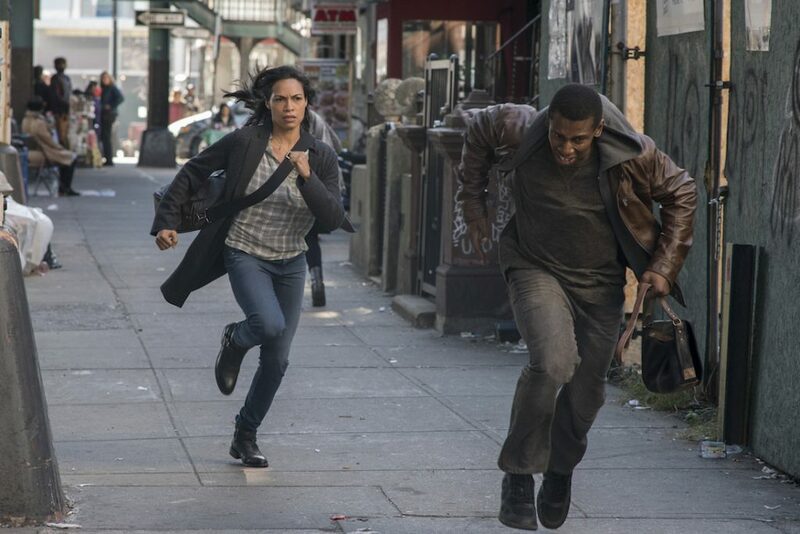 From handling a purse snatcher to finally getting a superhero name, Claire Temple’s presence in the first season of Luke Cage illustrated that this fan favorite character has serious longevity in The Defenders universe. More importantly, she’s got all of the qualities of the heroes she saves, making her one of Netflix universe’s most pivotal, but unsung characters. 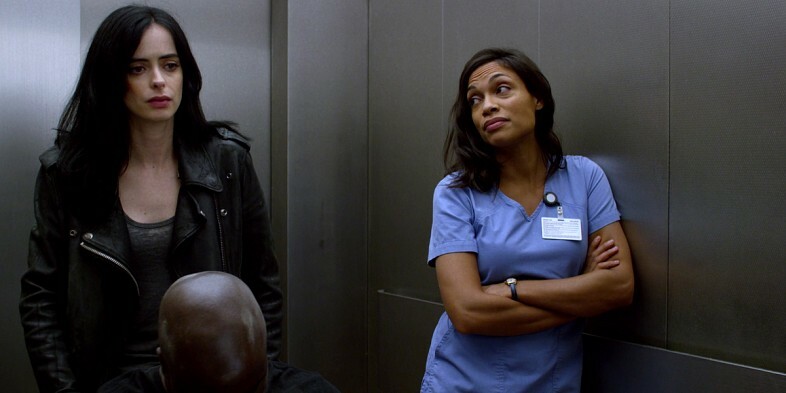 Here’s a list of seven things from Luke Cage season one that prove Claire Temple is the true fifth Defender of New York City. We all know that Claire doesn’t take mess from anyone, but before this moment in episode five, “Just to Get a Rep,” we’ve mostly seen her deliver verbal smack downs. Despite the sting of her tongue (Remember that “stern talking to” Foggy walked in on Claire giving to a banged up gang member in Daredevil season two? ), Claire has largely remained an all talk character. In this episode, we open on Temple casually walking through the streets of Harlem before a man runs up on her from behind and snatches her purse. Claire’s apparently been a victim too many times in Hell’s Kitchen and like most of us she’s over it. We watch as she doesn’t miss a beat running after the man who robbed her, catching up to him before playing a short game of tug-of-war. Eventually she flings him to the ground and forcefully stomps him in broad daylight on a Harlem street. The moment proves that the Claire Temple we’ve seen isn’t anyone’s damsel, and she sure as hell isn’t gonna let you make her one. It took Daredevil’s Matt Murdock quite some time to reckon with his role — and what that means morally — as the “Devil of Hell’s Kitchen.” Even Luke Cage took some time warming up to the idea that his heroic deeds would get his face and name plastered all over television — not to mention, on the lips of every Harlem resident who was paying attention. Don’t forget about Jessica Jones, who had to work on overcoming her trauma to battle her own worst, living nightmare and stop Kilgrave from hurting others. And although Claire did leave Matt because he was getting in too deep during Daredevil Season One, she’s realized that she can’t not be in the mess. Instead of continuing to run from it, during a conversation with her mother in episode five, Claire accepts the weird reality she finds herself in; a world where a blind man can see because of his heightened senses, a woman can fly from sheer body strength, and a man can heal in a matter of hours after being shot in the head. She embraces the universe — and trouble — fate has put her in and finally admits she’s ready for a new calling. One that sees her taking care of those that take care of us. The full list first appeared at ScreenSpy on December 16, 2016.